In looking the pictures over, you cannot appreciate or understand fully my amazement and joy in discovering that one was my old Company B, 170th Regt. N.Y. Vol. Why, I could scarcely believe my own eyes, so wonderful was it, that after forty-seven years, this picture should come to me. But there they were, some of them looking right at me, who had been dead for forty-six years- and there was no getting away from the picture. Today I am a boy again, living once more with the boys, the old army life. There were about twenty-five of us, school friends, who enlisted together, at Greenpoint, Brooklyn. There right in the front of the picture sits my brother playing cards (You will note that he is left-handed. We laid him away in front of Petersburg). With him is John Vandewater, Geo. Thomas and Wash. Keating. There is Charlie Thomas and all the rest as large as life. With the exception of two, I have not seen any of the boys for thirty years. Those of us who look at the grainy black and white images of the American Civil War today often forget that many held an important place in the hearts of veterans in the years following the conflict. We often fall into the trap of reducing such photographs to the role of visual references, using them solely for purposes such as recreating landscapes or examining uniforms and equipment. By viewing them purely in the context of the period between 1861 and 1865 we fail to recognise their value and relevance to veterans who often lived well into the 20th century. It is hard to imagine the immediacy with which William Silkworth viewed this particular photograph in 1910. He must have struggled to contain his emotions as he looked into the faces of these young men, including his own brother- comrades whose lives had been destroyed by the war. Many thousands of veterans must have had similar poignant experiences as they increasingly encountered such images in print in the decades after 1865. 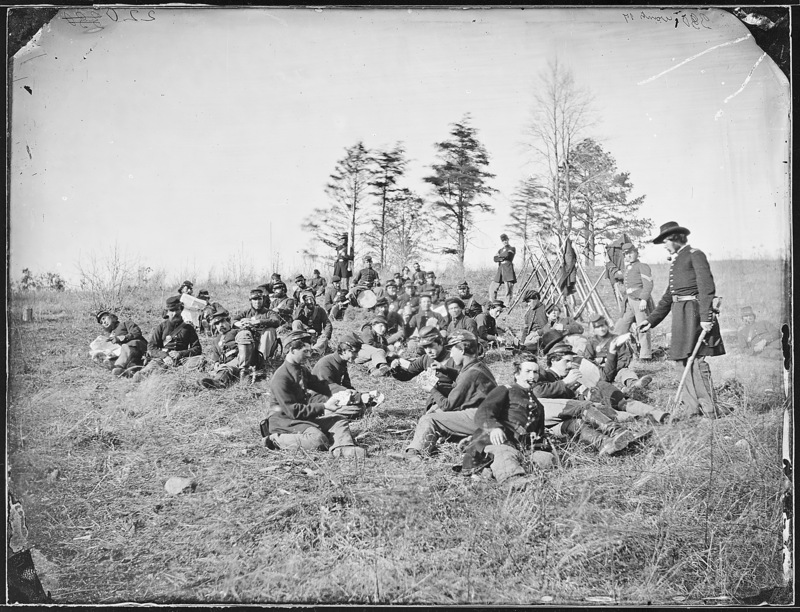 Remembering that the men and women in these photographs remained real for their friends and families so long after the guns fell silent brings with it a new appreciation of the value of American Civil War images. And so many were ‘always a boy’ as they never lived to adulthood. A nice post reminding us that these were real people, real sons, real brothers. Thanks, Damian, for bringing this story to your blog. It has been a source of great human interest for all who read it. I especially enjoy seeing pictures of the Legion posted. Thanks Joe- it is a really emotive story. The Legion are fast becoming one of my favourite topics, they are really deserving of more attention! It is really amazing, it is certainly my favourite photograph from the Civil War, purely because you can put a name to some of the faces and we know what happened to some of them. Thanks also for the flickr link- your argument re who’s who makes sense to me, adds another layer of detail to the story! I’ve long been trying to determine what my great-great-grandfather was up to during the war years. A man with the same name, age, and residence served in this very company. I looked into it further only to find that the man in Company B was recorded as born in NY, whereas my ancestor was born in Ireland. They are a fantastic set Brendan, I would love to find out more about the circumstances in which they were all taken. What was your great-great- grandfather’s name? There may be a mistake in the records. My greatgrandfather is always referred to as having been born in Cork. He was from near Tullamore. It may have been that he sailed from Cork or even that there was recruitment at the port. Garrett Barry was killed at Atlanta and his military record shows his birth as being in PA. I have recently got some info where he may have been a Listowel native. In your case it looks too much of a coincidence. Thanks for the info. A difficulty I keep encountering is that there were many William Hamiltons in New York City at this time, and the ages of Irish immigrants in the 19th century often seem to vary dramatically from one record to the next. I figured the age listed in my William’s obit, tombstone, and death cert, is the most reliable (which would out his birth ~1827), but I’ve his year of birth in the records I’ve found (particularly the censuses) range from 1814-1836. There may still be a way to ultimately confirm/refute whether the 170th’s William is the same man. There is a court martial record on file for this William in the National Archives, concerning his trial for desertion. I just have to be willing and able to cough up the necessary dough. Another potential match for William Hamilton served in the 25th New York (“Kerrigan Rangers”), but I haven’t the slightest idea where to find any further info at this point. There is no pension record on file matching this man. But I digress. I think you are right–I should not rule out the 170th, and it is definitely worth further pursuit. Do you all see it too or am I nuts? Had a look you might be right, I am going to compare them in more detail! The clincher for me was the guy all the way on the far left of the “at rest” photograph. Very distinctive face & facial hair, but more importantly, he’s also wearing an unusual pair or gauntlets on his hands. Look 6th from the right in the “on parade” photo–there he is, gloves and all. The former image is captioned “Burnt bridge at Pope’s Head, Va.” That’s near Fairfax Station, VA, outside DC. Any idea when they would have been there (assuming all these photos were taken during the same period)? My gg-grandfather was William Hamilton, born about 1827 in Ireland (still trying to find out where). He was a carman, living with his wife and 3 kids around Hell’s Kitchen and what is today the West Village around the time of the Civil War. Damian, great post, I really enjoyed reading this one. Wonderful story. Some of the expressions on the men are so natural, not the lined up in ranks photos you sometimes see. It is an amazing story and a great photograph- the more you look at it the more you see. It is quite something to know the names and fates of some of the men in it. I was amazed to find a print of Company M 1 Mo Lt Artillery during the Meridian campaign from Vicksburg . My greatgrandfather Peter Cavanagh is a Sergeant in that picture. Is it possible to find where the original photographs are archived? Some Civil War pictures are of such good quality that I may be able to identify him. can anyome help? Many thanks for getting in touch. Where did you get the image? If you email me a copy I could see if it is one I recognise. Many of the images are held by the Library of Congress, but by no means all, but it should be possible to find out more. I note you are in Limerick- did your great grandfather return to Ireland after the war? Yes, Peter Cavanagh returned to Ireland in 1867, from Vancouver WA. Sadly, he only lived to 1871of TB, almost certainly a war victim; he was hospitalized in 63 with fever on a hospital ship out of Vicksburg.. He married in September 1867. He returned to Cappincur, just outside Tullamore. He served throughout the war, starting on 10 May 61 at Camp Jackson St Louis and his last engagement was at Nashville in December 64. He joined up at Newport KY in Sept 1860 and came down to St Louis with General Thomas Sweeny and a about 30 others in March 61. Sweeny was a senior Fenian who led an attack into Canada and Peter was close to him for a lot of the war. The fact that he came back in 67 spurred my interest a lot but I’m afraid I have not been able to find any Fenian connection. Thank you for the information on the photograph and I’ll try that. I think that might be possible to trace- have you checked out the Center for Civil War Photography (http://www.civilwarphotography.org/) they might be able to help. It is probable at least that there will be a good copy available when it was published in that, although I imagine it may be harder to determine which one of the men he was, but it is certainly worth a go! This is where I found it. I got a good enough copy from a university library in Hartford CT.
Miller, F. T. (ED. ), 1912, The Photographic History of the Civil War, 2, 340, The Review of Reviews Company, New York. I can’t attach it to this reply. I’m mickmacnamara@yahoo.com. I’ll send it to you. Thanks for that I will send you a direct message! What a wonderfully evocative post. I sometimes find myself peering at photos taken during the Civil War, wondering how many of the men pictured survived? And of those that did, how many were able to return from the war and live their lives with any semblance of normalcy after what they’d been experienced. Your post shows the apparent randomness with which men died, were wounded or lived for another 60 years. Thanks for the comment- I agree, it is hard not to look at those images without wondering what became of these men. 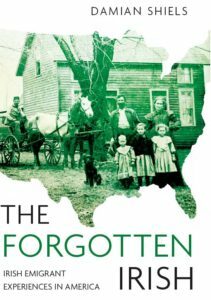 For those that survived they often had decades of life left, dealing with the consequences of what happened to them between 1861-65. They were just children with such bright futures, you are right it is easy to reduce the image to just a reference forgetting that they all had mothers and fathers, families and friends who mourned them.